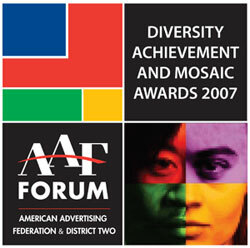 On Wednesday, September 26, 2007, Business Development Institute and the American Advertising Federation will host the 2007 Diversity Achievement and Mosaic Awards & Forum which will "explore the multicultural challenges we face as an industry while we discuss successful strategies with leading advertisers, agencies and media companies." Check out the details here. - Dell's $760 million account is up for grabs and everyone wants it. - Disney just gave the three Canadian dads who launched Club Penguin $350 million with another $350 million on the way in 2009. - Catch Speedo King Donny Deutsch and uber political commentator Arianna Huffington at the Venetian Hotel in Las Vegas September 30 - October 2 when they speak at the Electronic Retailing Association convention. - BL Ochman tells us how one brand, Kryptonite Lock, has improved its handling of social media outbursts dramatically since 2004 when it was awarded Business 2.0's Dumbest Business Moment of the Year Award. For some reason, finding Chicago's Delacosta restaurant on 466 East Illinois is a challenge. While in town for the ad:tech show, I walked by it two times before realizing it was right in front of me. 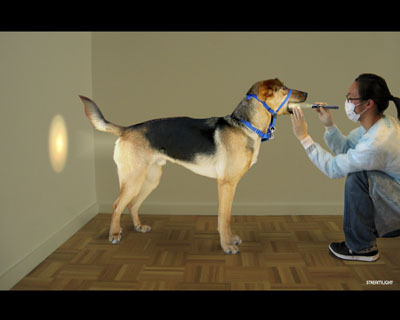 Adrants Co-Editor Angela Natividad had trouble finding it as well. And it's right there on East Illinois exactly where it should be. Perhaps it was the ultra-humid heat messing with our minds. Perhaps, at least for me, it was the mini-skirted, high-heeled, belly-shirted, stunningly beautiful woman I'd passed by on that very same sidewalk earlier in the day still clouding my mind. Perhaps I'm just dumb. Likely, it's the latter. Anyway, I found the Wunderman/TDI-sponsored party at Delacosta. Angela found it. 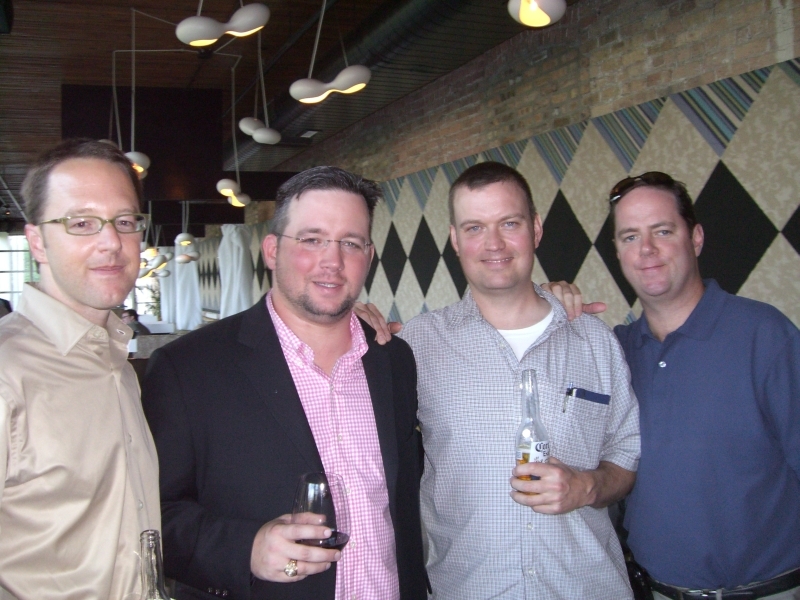 And so did buddy and UnSubCentral VP of Sales John Engler along with UnSub Central's Brian Ambrose and Rick. It was a small party with about 150 people but it was one of those parties where you could actually talk to people and the people you wanted to talk to where there. And, the food was very good. Far above the usual ad:tech-related party fare. Entering the same room in which I sat somewhere around 1998 or 1999 when then head of Leo Burnett promised "not on my watch" will Leo Burnett ever go public, I thought, "my how times have changed." The room, however, is exactly the same; dark and lit like a carnival ride. As ad:tech Chair Drew Ianni took the stage to introduce Wired Magazine Editor in Chief Chris Anderson who was the keynote speaker at ad:tech Chicago, he introduced something else, ad:tech's new working tagline "The Event for Modern Marketing" and gave an overview of ad:tech's expansion into other overseas markets as well as the growth of the online marketing space in general to its current level $20B. Continuing our quest to open the advertising industry to a more diverse group of people, Adrants along with Business Development Institute and the organizers of Advertising Week 2007 will host Experienced Hire Diversity Recruiting Program during Advertising Week September 25-28, 2007. The event, unlike our two previous diversity in advertising events, will "focus solely on advancing the presence of mid to senior level diversity leaders in the communication industries by offering individual companies the opportunity to exclusively recruit top level experienced professionals through private one and half hour recruiting sessions." Now this ought to be good. If you were even remotely considering attending the ad:tech conference at Navy Pier in Chicago July 31-August 1, there's something that just might solidify the decision for you. 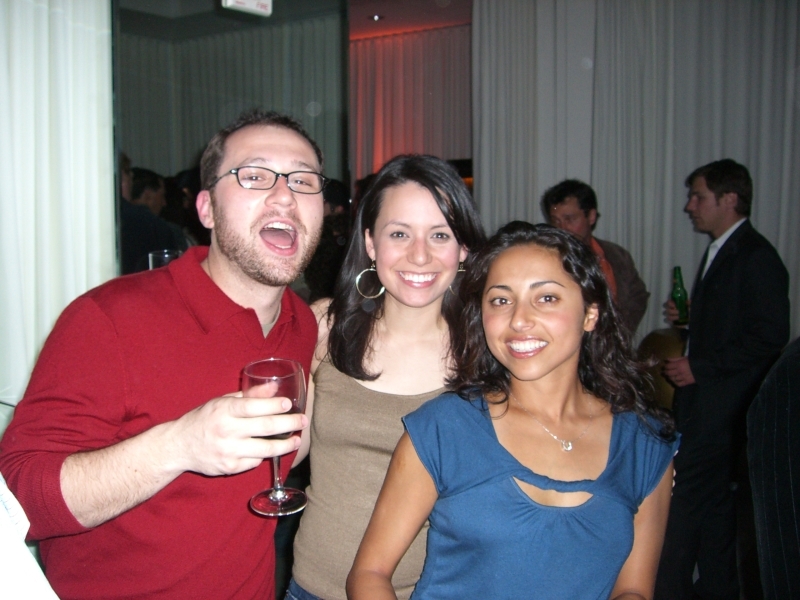 We've all been to various industry events and parties where, for whatever reason, co-workers eventually find themselves on some stage doing some strange thing providing endless humor and enjoyment for everyone in attendance. And, no, we're not talking about Arnold's Boston office pole dancing at a recent Christmas party. Though it might be interesting to see what all the booths babes would do if a giant pole appeared in the middle of the exhibit hall floor. On Tuesday evening following the first night of the Chicago ad:tech conference at Navy Pier, the Chicago Interactive marketing Association will host the "official ad:tech party" at Fulton's on the River beginning at 7PM. If you are a speaker or on the ad:tech Advisory Board, there will be a reception for you beginning at 6PM following the last session of the first day of the conference. The reception will be held in the Grand Ballroom Balcony Lobby, South Side, 2nd level. Surely there will be many more events packed into the evening and we'll let you know about them as soon as we have the scoop. That is if you care and if you'll be there. - If you haven't seen it, here's Al Gore's speech he gave at Cannes about climate change about how the advertising industry can effect it. It's in three parts. Here, here and here. - The Age of Conversation, a book written by 100 marketing bloggers and writers the wordl over, just went on sale today. You can check it all out in this Advertising Age story. - If you want to read blog posts by celebrities, politicians and business leaders who don't even know they are writing them, head over to News Groper. - Google has released AdSense for Mobile beta. Well what do you know. Alex Bogusky Moves to Boulder and Denver launches a new ad club. And that's not all. Properly following America's march toward self esteem-fueled mediocraty where there are no winners and loser only proud participants, the New Denver Ad Club has kicked off an awards competition in which there are no golds, no silvers, no bronzes, no categories and no Cannes-like category shifting to please judges' whimsy. The only thing the 50 winners get is a slot in the Denver50 show book and a party at which much alcohol will be served. Entries are due August 10 although how one submits is a mystery given the Denver50 site doesn't exist yet. Entries are limited to creatives living in Colorado when the idea was developed and must have appeared in media between January 1, 2006 and August 10, 2007.